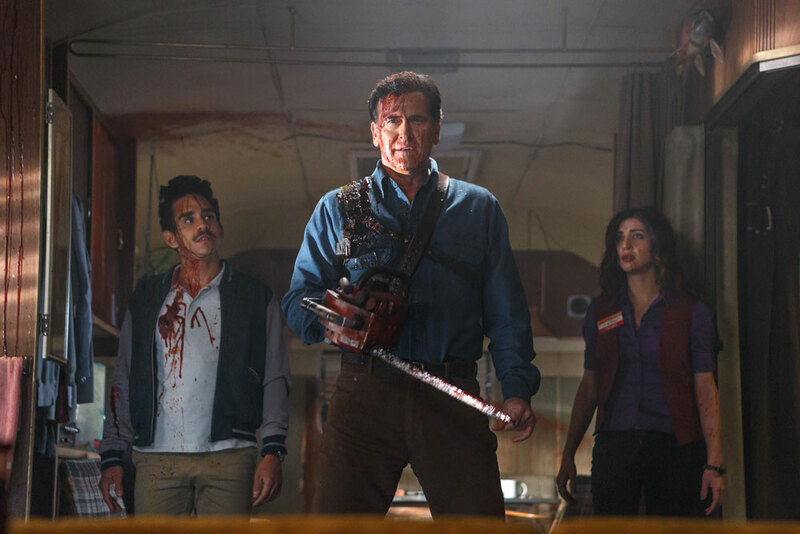 Virgin Media has acquired first-run rights to comedy-drama Ash Vs Evil Dead, a move that creates a “step-change” in the battle for exclusive programming in the UK. The pay TV service has acquired on-demand rights to the zombie series from Starz Digital, the on-demand licensing arm of the US premium pay firm Starz. This takes Virgin into the original content game for the first time, and was described by the firm’s chief digital entertainment officer David Bouchier as “a step-change in our TV programming strategy” that “demonstrates the true potential of video on-demand”. The UK pay TV market has long been dominated by Sky, though its control has been challenged by SVOD players Netflix and Amazon Prime Instant Video, both of which are commissioning and acquiring exclusive content, and BT, which surprised the industry last year by taking exclusive rights to Fear the Walking Dead channel AMC Global. The first indication Virgin was upping its content game came in June when it hired former Sky Italia and BSkyB programming chief Bouchier to run its digital entertainment unit. The first five 30-minute episodes of the series, set in the same universe as the schlocky Evil Dead movies, will be available to Virgin customers exclusively from today via Virgin’s on-demand service for those subscribed to the More TV package or above and for HD to TV XL subs. New episodes will be added as they go out in the US. The series was unveiled to journalists at a screening in London last night. “Fans throughout the world have been thirsting for the return of Ash,” said Mara Winokur, senior VP, digital, Starz. For Starz, the deal comes after Ash debuted in the US to strong critical acclaim. A second season was ordered after just one episode. The show sees Bruce Campbell reprising his role as the titular Ash, now an aging lothario and monster hunter, who is forced to battle a ‘Deadite’ plague threatening humanity. Speaking to TBI from the US this week, Starz managing director Carmi Zlotnik said Ash was “a unique property that can attract who grew up on the original and the next generation alike. The fact it broke new ground as a mash-up of comedy and horror made it unique from the start”.